Peggy Simbi’s sentiments reflected the spirit that brought together more than 1,000 Bahá’ís on 22-23 November in Lubumbashi, the second such conference in the Democratic Republic of the Congo in nine days. The conference would enable the Congolese and Angolan Bahá’ís to celebrate their successes at this midpoint of the current Five Year Plan and to re-consecrate their energies to achieve an accelerated rate of growth over the next six months. Mrs. Rachel Ndegwa, who with Mr. Stephen Hall represented the Universal House of Justice, opened the conference Saturday morning with an address that set the tone and focus for the weekend. 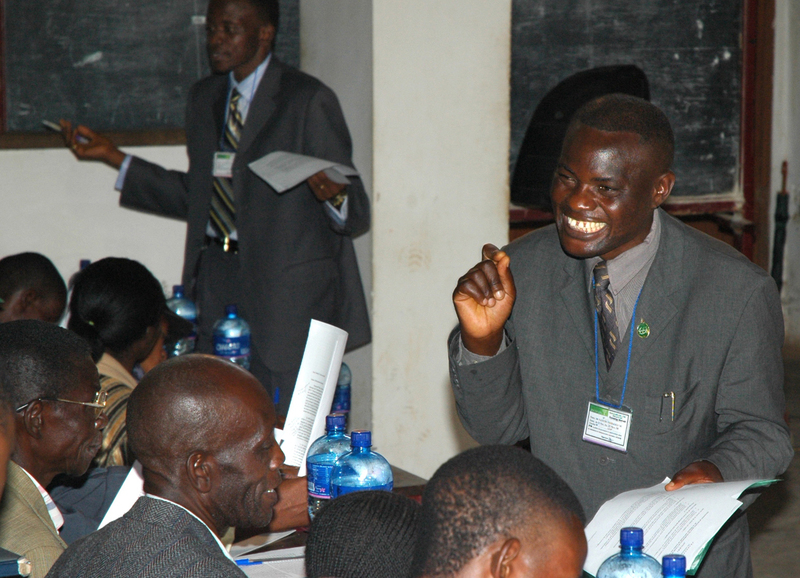 Reports from two National Spiritual Assemblies, Democratic Republic of Congo and Angola, and four Regional Councils – Katanga, Congo West, Eastern Kasai and Western Kasai – described the impact that the Five Year Plan has had on the growth of the Faith and the development of the community. 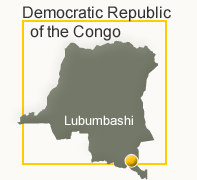 The capacity of the friends in DRC was immediately apparent from the quality and content of the reports. One of the presenters highlighted the influence of the Cause when he described a teaching effort in one cluster that received an unexpected boost from a priest who announced on the radio that if people wanted to pray sincerely to God they should follow the Bahá’ís. Within the first two days of the initiative, 56 people decided to join the Bahá’í community. recognizing the critical importance of faithfulness to the principles, teachings and laws of the Faith and the decisions of the institutions. 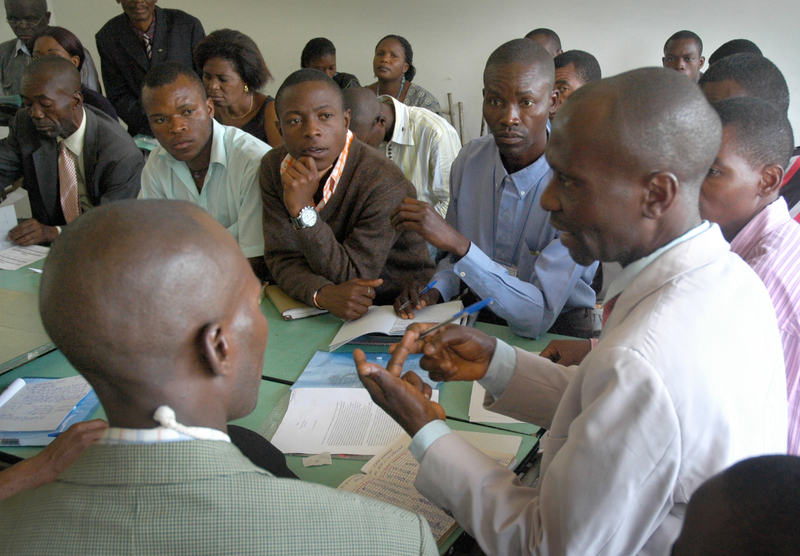 The participants took up these issues, and others, in their consultations on the second day when they broke into small groups to consult together on their service in different areas of the DRC and Angola. 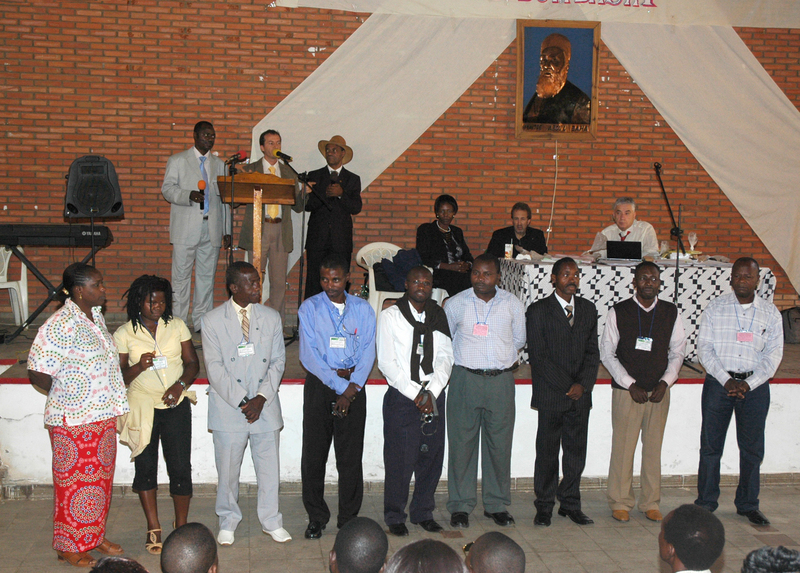 The first day heard messages from the House of Justice, praising the accomplishments of the Congolese community, one of several national communities laboring in the forefront of Bahá’í activity worldwide. Clear guidance on how to improve the quality of actions taken in the context of the institute process, described as the “engine of growth,” was also provided. The friends were urged to “cherish their unity.” In the workshops organized to study the 20 October 2008 message from the House of Justice as well as the specific message to the conference, the friends explored further the responsibility they have toward all of humankind. 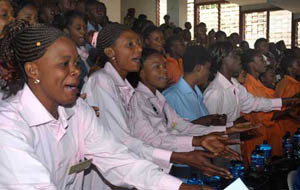 Two youth choirs, strategically positioned in the middle of the seating, periodically broke into song and elevated the already celebratory atmosphere. 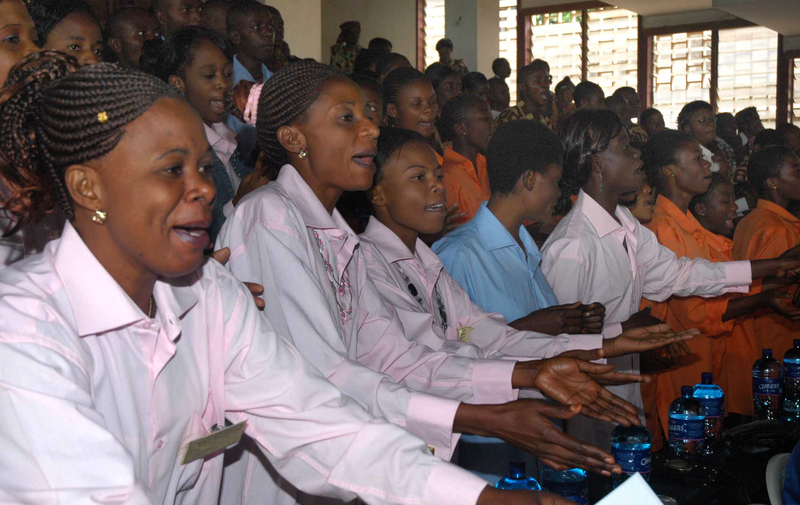 The quality of the choirs, comprising some 200 youth from Lubumbashi, was “absolutely magnificent, lifting the roof and the atmosphere to new heights of happiness and joy,” said one participant. There were enthusiastic responses to accounts of personal experiences. One presentation that particularly moved the participants came from a youth who had organized a junior youth group from a poetry club she had started. She highlighted the particular needs of junior youth, those aged 11-15 years, pointing out that overbearing authority was not effective with this age group and that what was needed was to befriend and love them. She told of how in the beginning these youth were always at odds with each other but learned over time how to cooperate and collaborate. The evening cultural program celebrated the achievements of the Five Year Plan. The friends expressed their love for Bahá'u'lláh through spirited singing, dancing, drama and prose. 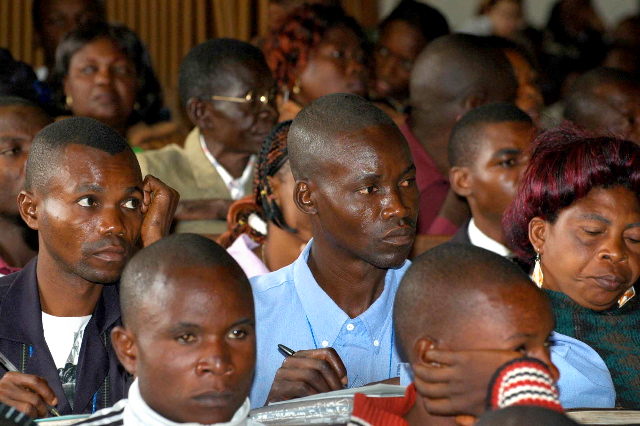 A new goal was set for the region (DRC and Angola) of launching intensive programs of growth in 24 priority areas by Ridván 2009, 23 of which are in the DRC. Day 2 of the conference focused on devising plans to achieve this objective, with many participants making commitments to undertake activities in the priority areas while continuing to support the expansion and consolidation work in their own clusters. Video: Singing, workshops and more. Seven provinces of the D.R. Congo were represented at Lubumbashi, which hosted the second conference in as many weeks in that country. The first conference was in Uvira. 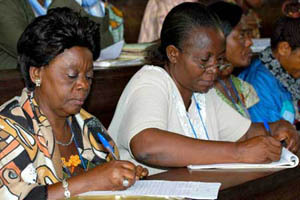 Workshop sessions, which give an opportunity for individual participation, are held on both days of every conference. A facilitator works with a break-out session to study two letters from the Universal House of Justice. 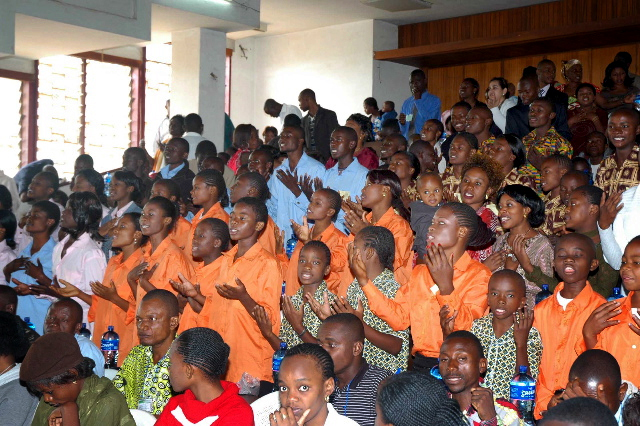 Two youth choirs, strategically positioned in the plenary sessions, periodically broke into song. Music elevated the already celebratory atmosphere. Faustin Mulebeka of Eastern Kasai in D.R. 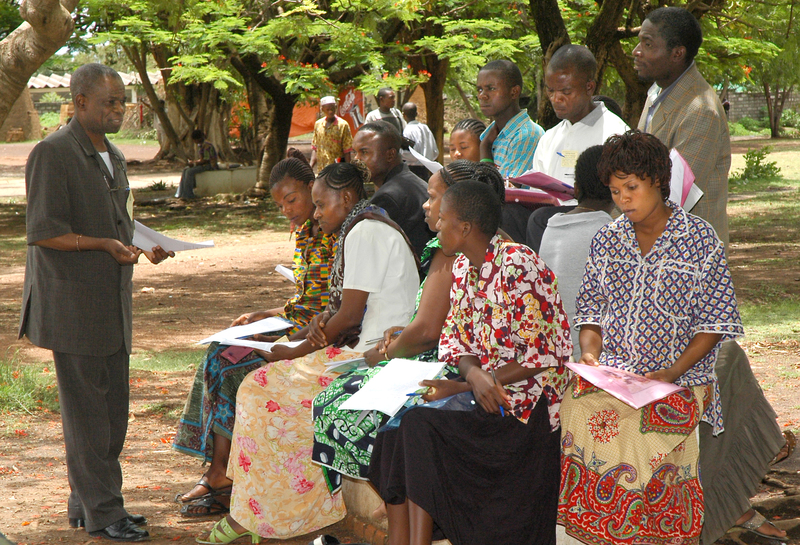 Congo, a member of the Baha’i Regional Council, facilitates a workshop. 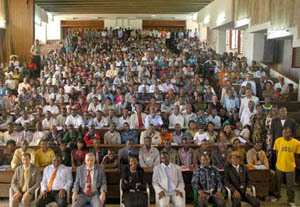 Participants at Lubumbashi pose for a conference photo. French was the main language for the event, but Portuguese translation was provided for the Angolans. 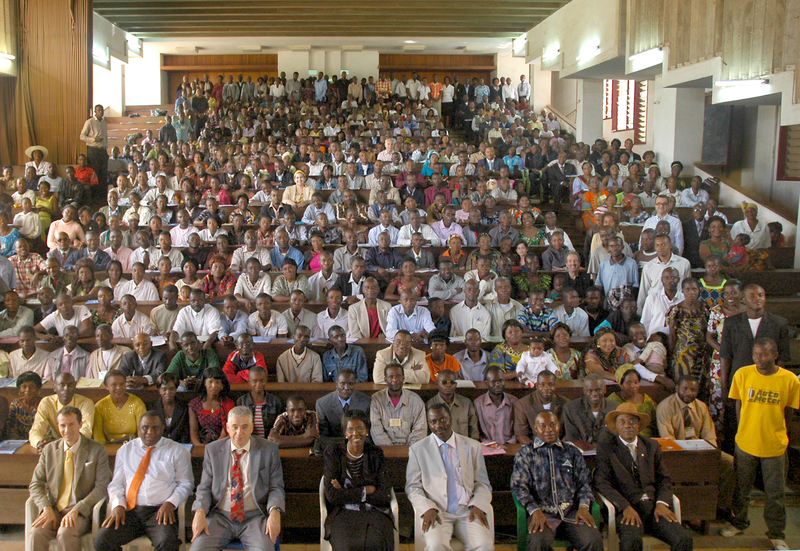 Lubumbashi was one of nine cities in Africa that are hosting conferences in the series of 41 planned by the Universal House of Justice. Baha’is from Angola, which borders D.R. Congo to the southwest, are pictured here during the conference. Participants at all the conferences are now receiving a personal planning form to fill out if they so choose. 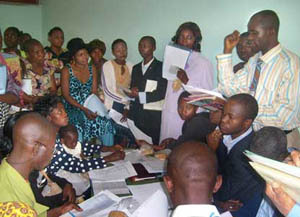 Shown here is one of the workshop sessions in Lubumbashi.